Includes the IBeam™ Under-Bridge Transducer Pickup, a pre-wired strapjack, an installation jig, as well as wire clips. 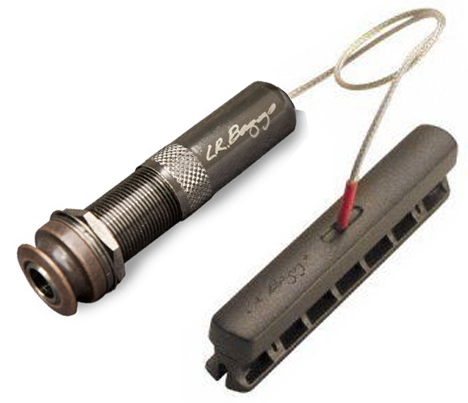 The IBeam pickup is designed to work with a preamp, which is not included with this model. Installation of the IBeam pickup requires no drilling, as it mounts in the guitar under the bridge. An installation jig is included to align the IBeam in the correct position. The Strapjack Plus (which includes the active preamp) requires a 1/2" hole where your existing strap button is on the base of the guitar (note that some guitars are pre-drilled to accept a 1/2" strap jack). The pickup sensor is 2 7/8" L x 7/16" W x 5/8" H.